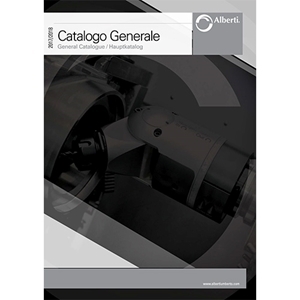 Below is a list of catalogues and brochures available for download with a short description about what they each contain. 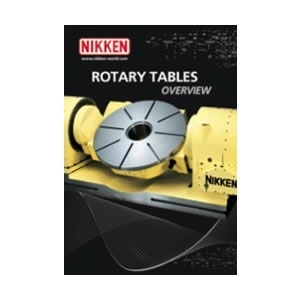 Nikken's Rotary Table Catalogue is a complete compendium of the 4th and 5th Axis Rotary Table solutions available from Nikken. 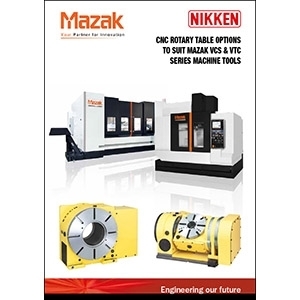 Whether you need a small compact rotary table of one with a 1600mm face plate - Nikken has a solution and you can read all about it in this catalogue. Also included is information on Direct Drive tables and background information on special tables, controllers and accessories. 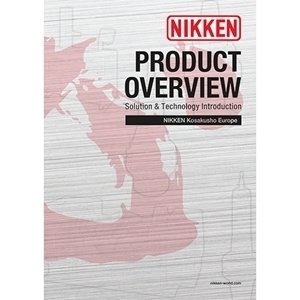 A new 24 page introduction and overview of the Nikken Product Range containing information about the wide range of products available. 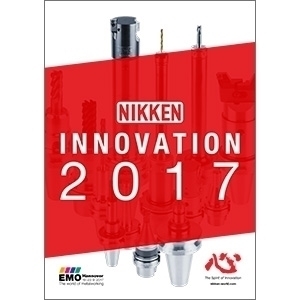 The NIKKEN Innovation 2017 Catalogue contains some of the latest technology and ongoing developments from the NIKKEN Kosakusho group. Showcased at EMO Hannover 2017 this publication provides an update on the latest product ranges. 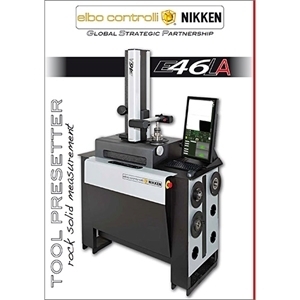 Nikken are committed to pushing the boundaries of advanced manufacturing and believe that this is reflected in our ‘best in class’ range of products. 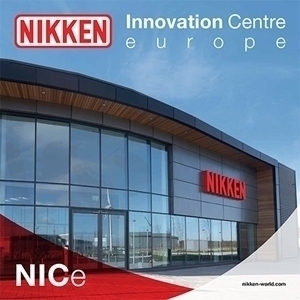 We continually strive to refine and improve our product range and service offering, an approach that has ultimately led to the new NIKKEN Innovation Centre for Europe (NICe). Nikken has opened a new innovation centre designed to highlight its latest machining accessory innovations. 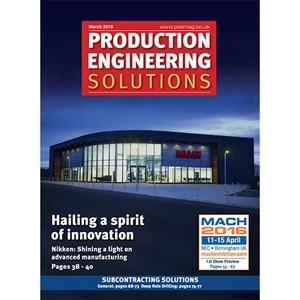 Production Engineering Solutions' Ed Hill went along to discover what it offers potential customers. 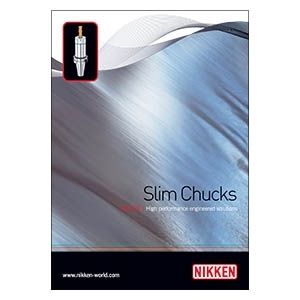 NIKKEN Slim Chucks are a highly effective, versatile and flexible tool holding solution. With an exclusive Titanium Nitrided bearing nut the Slim Chucks range boasts double the accuracy of ER Collet Chucks with drastically improved reliability. 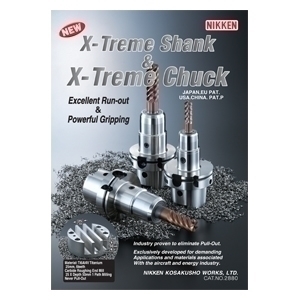 Based on Nikken’s award winning and best-selling Multi-Lock milling chuck, the Nikken X-Treme solution retains market leading accuracy and the reliability that Nikken’s customers expect form our Tooling solutions. X-Treme features a patented ’Sure-Lock’ quad clamping system to provide positive locking and restraint of the tool shank even under the most extreme of cutting conditions when direct chucking. Exclusively developed for demanding applications and materials associated with the Aerospace and Energy Sectors. 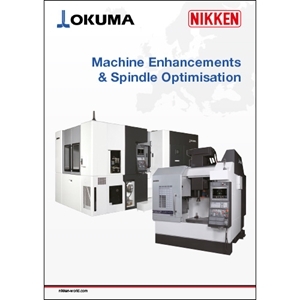 This 16 Page catalogue details the accessories and additional equipment that is available from NIKKEN to enhance the functionality and productivity of a range of OKUMA Machine tools. 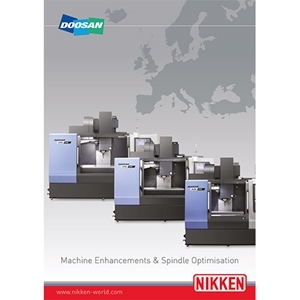 This 16 Page catalogue details the accessories and additional equipment that is available from NIKKEN to enhance the functionality and productivity of a range of Doosan Machine tools. 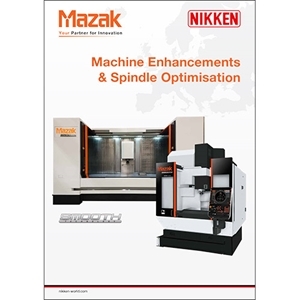 This 16 Page catalogue details the accessories and additional equipment that is available from NIKKEN to enhance the functionality and productivity of a range of Mazak Machine tools. VCS-430A, VCS-530C, VTC-200C-II, VTC-530C, VTC-300C-II, VTC-760C and VTC800/30SR. 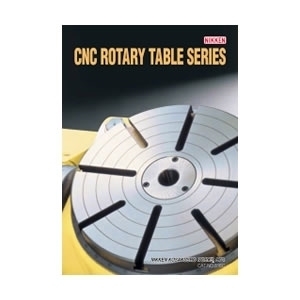 A wide range of face plate diameter and specifications are available to suit all applications, ranging from 130mm on the 5AX-130 to 800mm on the CNC802; which boasts a workload capacity of 3,000kg. 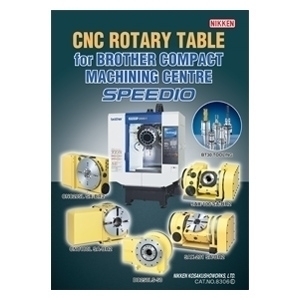 NIKKEN provide a range of high speed rotary tables to be used with various Brother SPEEDIO Machines designed specifically to suit the Brother range of Machine Tools. 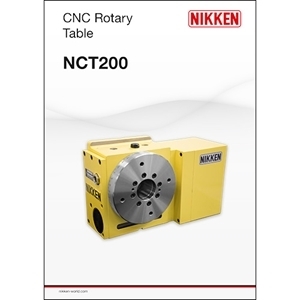 Nikken provide a range of rotary tables for Fanuc Robodrills. 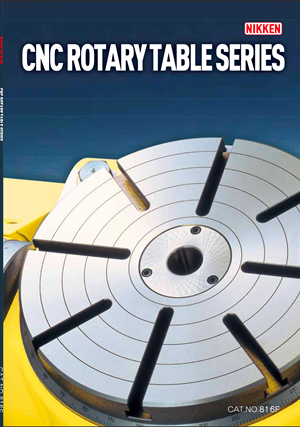 Our rotary tables seamlessly become a part of the Fanuc Robodrill creating the perfect solution for each and every manufacturing requirement. The outcome is simple - maximum productivity and unrivalled efficiency.? 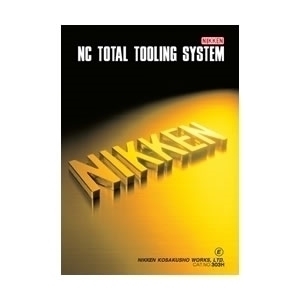 Nikken's NC Tooling Catalogue (Version 303H) is crammed with product information. 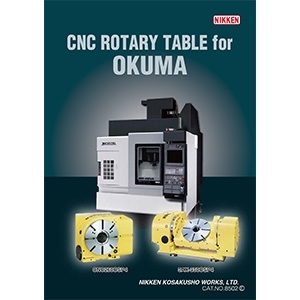 With over 280 pages of information on our complete range of NC Tooling products plus an introduction to our Rotary Table & Tool PreSetter solutions, this catalogue is the "must have" Nikken catalogue for engineers who need a complete reference to our product portfolio. 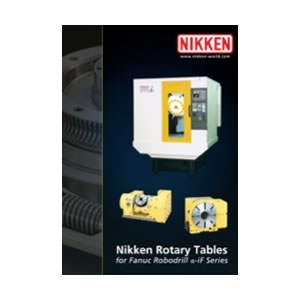 The brochure contains all the basic information about Nikken's range of 4th and 5th axis rotary tables along with information on hirth coupling indexers and the latest Direct Drive models. 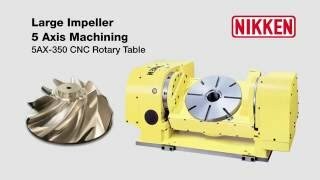 You will also learn about Nikken's Alpha 21 Controller and the manufacturing process & components that make our Rotary Tables unique. 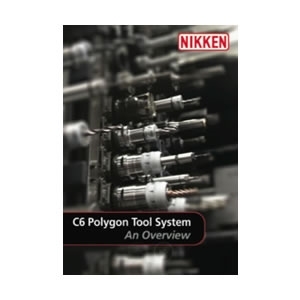 All key Polygon C6 products feature Nikken's revolutionary 'Major Dream' vibration dampening technology - a distinct benefit previously not open to to Turn Mill and Multi-Axis machining centres. 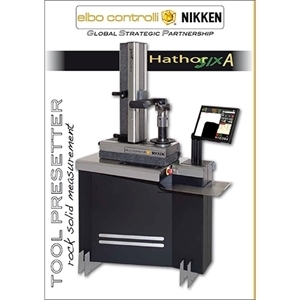 This system offers benefits for tool life and long reach applications unsurpassed by our competitors. 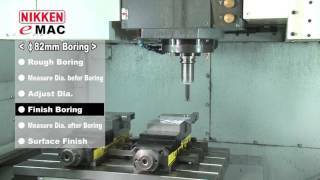 The products include; The Multi-Lock Milling Chuck, MD Slim Chuck, The Depo style Pro End Mill, Boring Systems and a complete range of accessories.? 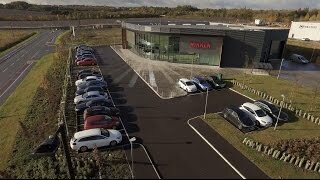 NIKKEN have been part of the AMRC project since its inception 15 years ago, this video provides an insight in to the reason NIKKEN chose the Advanced Manufacturing Park to locate its Innovation Centre, and why NIKKEN and the AMRC essentially share the same DNA. Video showing sample 5-Axis machining operations from the Large Impeller demonstration using a 5AX-350 CNC Rotary Table.